The University of Miami has changed transcript services and is now working with TranscriptsPlus, a service of Credentials Solutions.Transcript options available now include hard copy paper transcripts as well as electronic PDF transcripts. Transcripts are ordered online or over the phone at 847-716-3005 for an additional operator surcharge. Once a transcript has been mailed, the recipient address will not be changed. If you would like a transcript sent to a different address, a new request must be submitted. Transcript processing is taking between 7-10 days due to the University of Miami’s student information system conversion. During the conversion some errors occurred; we are checking every transcript before it is mailed to ensure accuracy. Thank you for your patience. APOSTILLE AND NOTARIZED - Only select this option if the recipient has requested an apostille and notarized transcript. For the Apostille and Notarized option, you must send the following to the Office of the University Registrar. A Large envelope with Pre-Paid postage and addressed to the final recipient where you want the State Department to mail the Transcript to once it’s completed. In addition, include a $10.00 check or money order payable to the “Florida Department of State” for each copy of an Apostille Transcript you order. This is the State’s processing fee. Please allow additional time, as the Registrar cannot process your order until they receive all of the required items above. Once the Registrar receives your envelope and check, they will mail it to the Florida Department of State along with the notarized transcript. The Florida Department of State will place the Apostille on the transcript, they will then mail the Apostille transcript to the address you provided on the pre-addressed envelope. Please visit the Medical School Registrar's Office for more information. Law students with an 'Incomplete Transcript Stop' on their record must have the stop removed by the Law Registrar before a transcript will be printed. Questions regarding Law grades and classes should be directed to the Law School Registrar's Office. Students who did not enroll in degree-seeking programs but participated in non-credit and/or certificate programs should contact Continuing Studies at 305-284-5800 or visit their website. 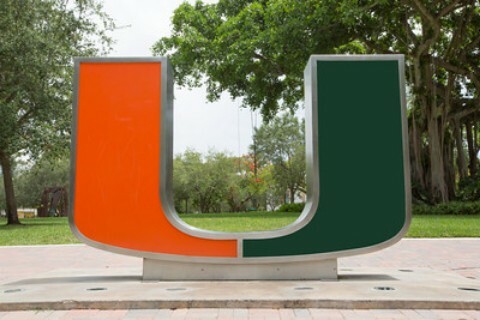 Students who need to submit transcripts to a department within the University of Miami may print out an unofficial transcript from their CaneLink account. The Office of the Registrar will no longer provide free official transcripts for internal use.